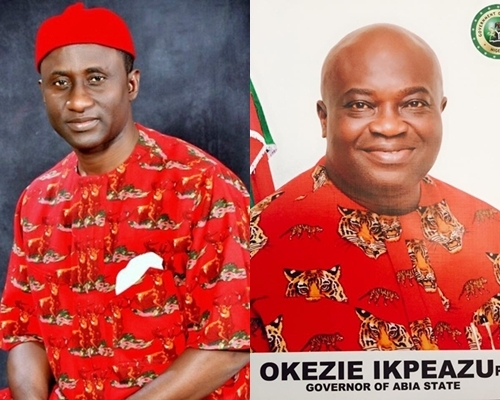 The Governor of Abia State, Okezie Ikpeazu has won Uche Ogah at the Supreme Court, as the court on Friday, affirmed the election victory of the governor by a five-man panel led by the Chief Justice of Nigeria. The Supreme Court on Friday affirmed the election of Governor Okezie Ikpeazu of Abia State after dismissing the case of Uchechukwu Ogah, who had earlier obtained a judgment of the Federal High Court in Abuja to replace Ikpeazu, The Punch exclusively reports. A five-man panel led by the Chief Justice of Nigeria, Justice Walter Onnoghen, dismissed Ogah’s appeal for lacking in substance.